Most guests spend approximately 4 to 9 hours at the museum. WonderWorks Interactive Experience and Laser Combo is no longer available. If you are looking for a fun way to add some family-friendly excitement to your Pigeon Forge getaway, make plans to include the Laser Combo experience into your vacation plans. The Laser Combo is the perfect addition to your vacation and is fun for the whole family to enjoy together. 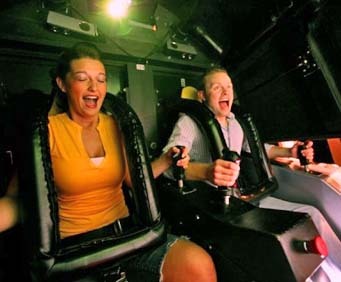 This combo package includes admission to the Wonderworks attraction and one thrilling game of Laser Tag. Your fun combo experience begins with a visit to Wonderworks, one of the most highly rated attractions in Pigeon Forge. Here, your family can spend hours exploring over 100 unique and interactive exhibits that are designed to boggle your mind and inspire your creativity and imagination to run wild. 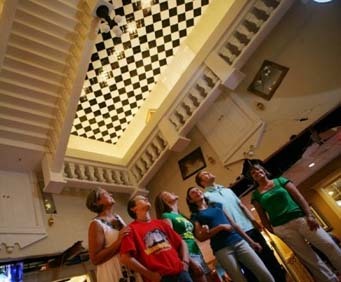 You can truly get lost in the possibilities Wonderworks creates for you. 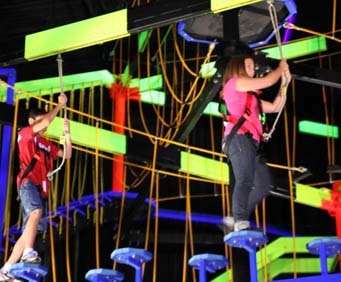 After exploring Wonderworks, you can then don your laser tag vest and grab your laser gun for a memorable and exciting experience your whole family will love. You will all have a blast trying to tag others with your laser gun as you work your way through a darkened laser room. The Laser Combo experience is an affordable way to enjoy both of these experiences, giving you access to both for one low price. Don't miss out on the fun waiting for you and your family in Pigeon Forge with the Laser Combo package!